Since I need a break from studying, and I can’t figure out how to start my online TEFL class, I decided I’d cover a few important things that I missed when my computer died last year, starting with: Spring Break! While it has been a year since I visited Hong Kong, Macau and Hainan on my for my Independent Travel Week/ Spring Break, it feels like just yesterday- and I have plenty of photos to remind me of my adventures. I still remember the day before I left for Hong Kong. There was only one things standing in my way: midterms. I had stayed up late Thursday night to study- as late as I could, seeing as I was dying from the worst cold I had ever experienced in my entire life. I’m not kidding. I could barely even speak during my Chinese oral exam, let alone use proper tones, and I’m sure the class hated me with my constant nose-blowing and sniffling. Even though I felt absolutely horrible, the sense of freedom I gained from completing my exam was enough to completely eradicate any sickness from my mind. Hong Kong here I come! The next morning we woke up at the crack of dawn and departed for the airport. Our group consisted of 6 students: five girls and Nate (who else). We were to spend three full days in Hong Kong and Macau, and another four in Hainan, the Hawaii of China. I always thought Hong Kong was a very integrated part of China. I knew it was autonomous, but I had no idea how separate it really is! We had to pay for international airfare, and Chinese people need a visa just to visit! If any of you feel like your passport is looking a little sparse, I suggest you pay a visit to China, Hong Kong and Macau- you’ll fill up a good two pages with entrance and exit stamps. 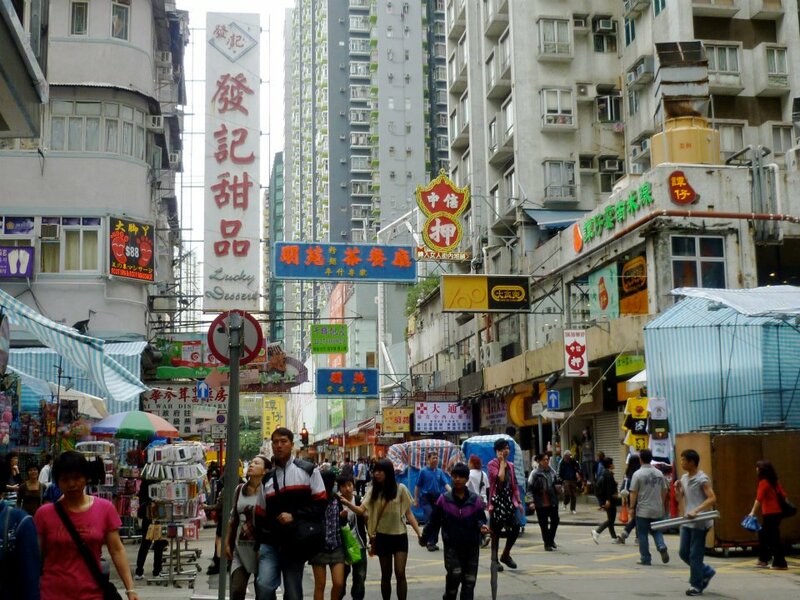 Visiting Hong Kong is like visiting another country. 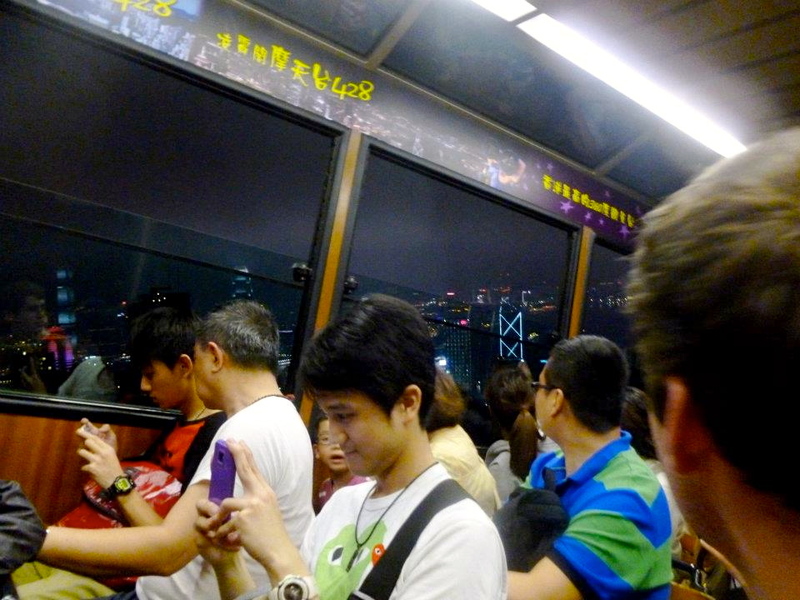 People speak Cantonese, write in traditional characters, and drive on the left. 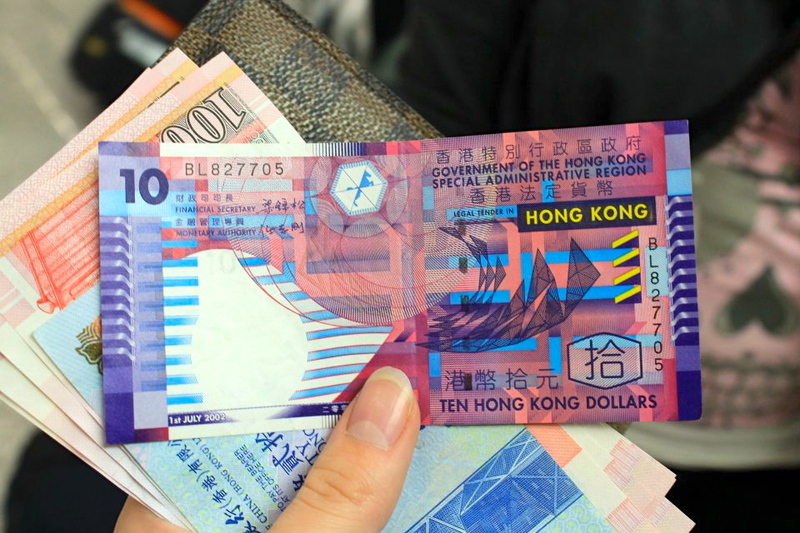 They use different money (the Hong Kong dollar) and require tips at restaurants. I don’t know if I could accurately describe Hong Kong, but if I were to try, I would say it is a hybrid of China, London and Thailand. I’ve never been to Thailand, but with the tropical humidity, bamboo scaffolding and lack of Mandarin- I may as well have been in Thailand. After exiting the plane, the six of us split in half and took cabs to our hostel in down town Hong Kong. As we entered the cab I witnessed one of the most shocking things I have ever seen in China. No, it wasn’t a bloody stump with a bone sticking out, and no, it wasn’t a cockroach sitting in the coals of my hot plate. It was even more shocking: my cab driver had an iPad. Yes, you heard me, an iPad. How in the world could this cab driver afford an iPad? I don’t even have an iPad?! Five minutes into the cab ride we discovered how: let’s just say cabs are expensive in Hong Kong. Actually, let me re-phrase: EVERYTHING is expensive in Hong Kong. Aside from the ridiculous prices, Hong Kong is beautiful! It was warm, sunny and a little humid. There were big, white fluffy clouds in the sky and green rolling mountains. As we entered into the city, we passed by the turquoise blue sea, surrounded by beautiful resort villas and grand suspension bridges. Hong Kong is absolutely breathtaking. As we drove into the city, I became more and more impressed. People followed traffic laws, no one honked, the streets were clean enough to eat off and lined with designer shops. Double decker busses whooshed pass us and the buildings leapt up towards the sky. When we finally arrived, we exited our cabs and walked towards our hostel past designer shops full of clothing that I will probably never be able to afford. 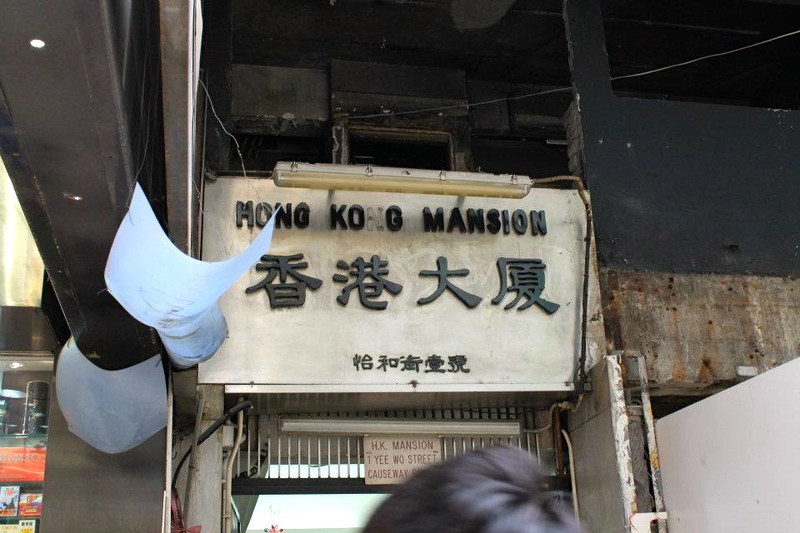 Eventually we reached our hostel, Hong Kong Mansion, and entered through a side door, climbing up dirty concrete steps to a small, dingy waiting area; we could barely all fit in the room. I almost died laughing looking at the sign to our hostel, which was filthy and missing a letter. Yep, definitely a mansion. After forking over more cash than I thought humanly possible in one day, we were informed that we would only get one room key for all 6 of us, and if we wanted more keys we would have to pay about $15 for the privilege of using one extra key. Really?? $15 may not sound like a lot, but in a country where I was used to eating dinner for $4… it’s a lot. We decided to just go with the one key, knowing that we could never split up since, wouldn’t you guess.. our phones didn’t work in Hong Kong. After emptying our wallets, the man told us that the large 6-person rooms were located in a different building two blocks away. Really? So we grabbed our stuff and headed over to our room. We eventually found the building, a somewhat dilapidated high-rise apartment building. The inside reminded me of a bathroom with sea-foam green walls and a multi-colored tile floor. 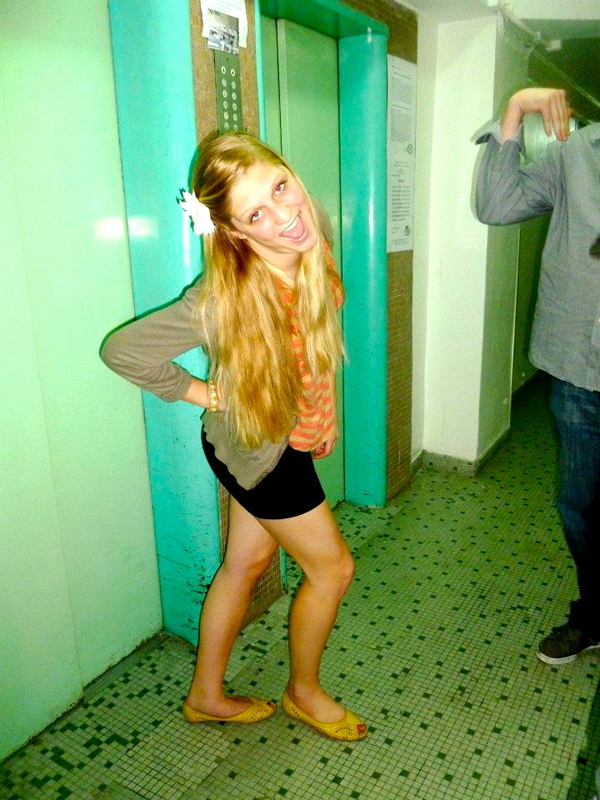 We crammed ourselves into the elevator and eventually found our room. We entered into a teeny tiny modern living room with a navy couch and bright, shiny red walls. This living room led into three 6-person bedrooms, two bathrooms and a kitchen that consisted of a fridge and water boiler. We unlocked the door to room #1 aaaand… it was the size of a closet. 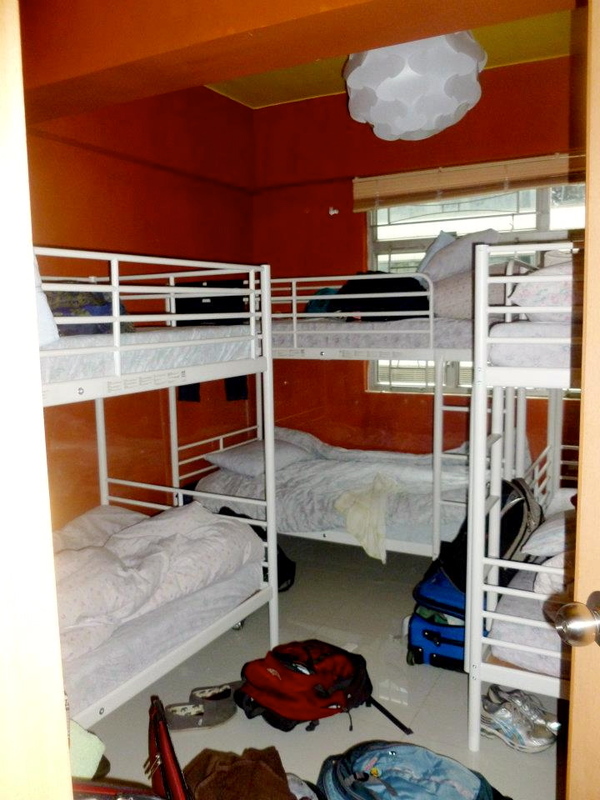 The three bunk beds took up all the space in the room so that only three people maximum could stand on the floor. We changed out of our plane clothing and into something nice and summery to fit the tropical weather. 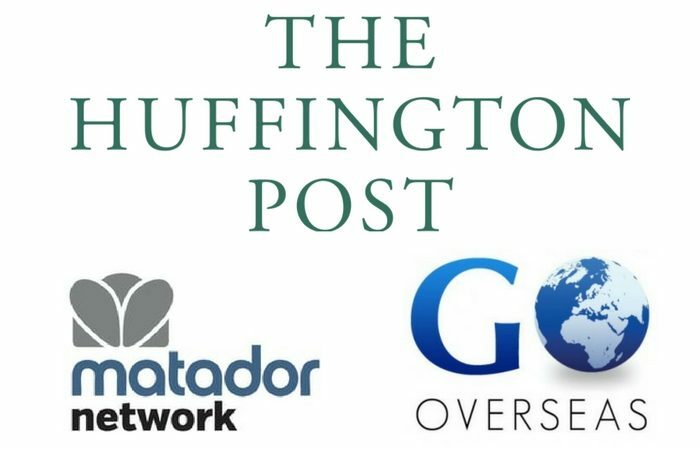 We then stumbled upon something amazing: no internet censorship in Hong Kong??! Our internet was insanely fast and we didn’t need a VPN to get on Facebook! Freedom at last! 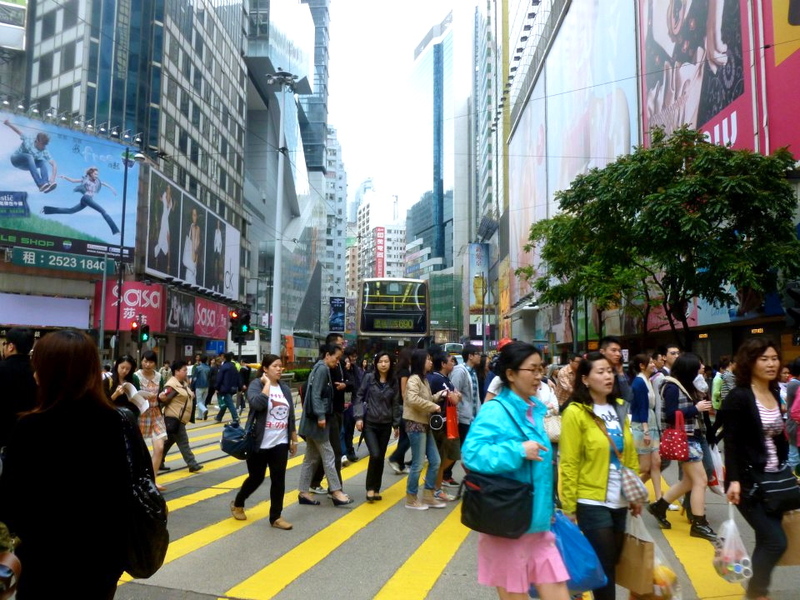 But we were not in Hong Kong to play around on Facebook, and soon enough we were off to explore the city. That afternoon we walked around Hong Kong, and relaxed at a park with a jogging track that had a path for runners and walkers. How is this city in the same country as Beijing where you can get hit by a car on the sidewalk and have it be your fault? Yes, you heard me right, sidewalk. That evening we had dinner at a Japanese restaurant (and were shocked by the automatic gratuity on our bill), and then headed out to a few square blocks of streets that contain Hong Kong’s bars and clubs. We saw Irish pubs, swanky bars, crazy nightclubs and daring street dancers. After a fun night out, we headed back to our hostel- but had a hard time falling asleep due to the summer camp-like environment our room provided. 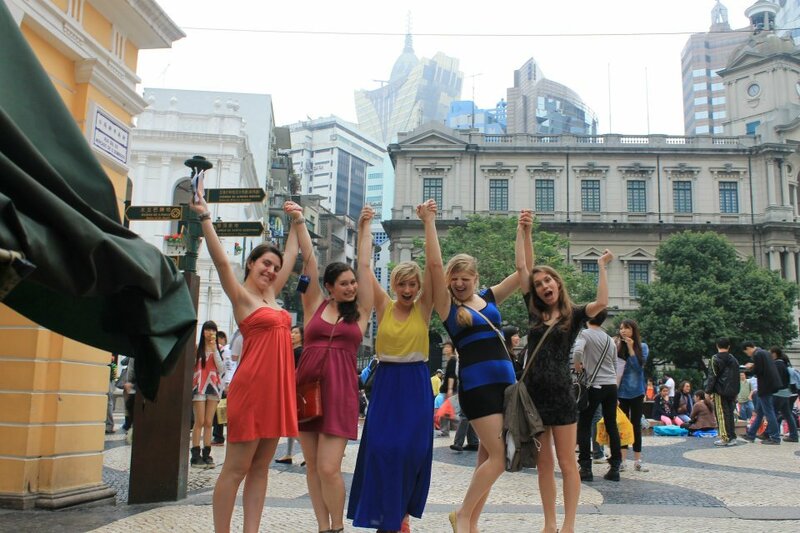 The next morning, we wandered around Hong Kong, drank some crazy fruit juices and window shopped. 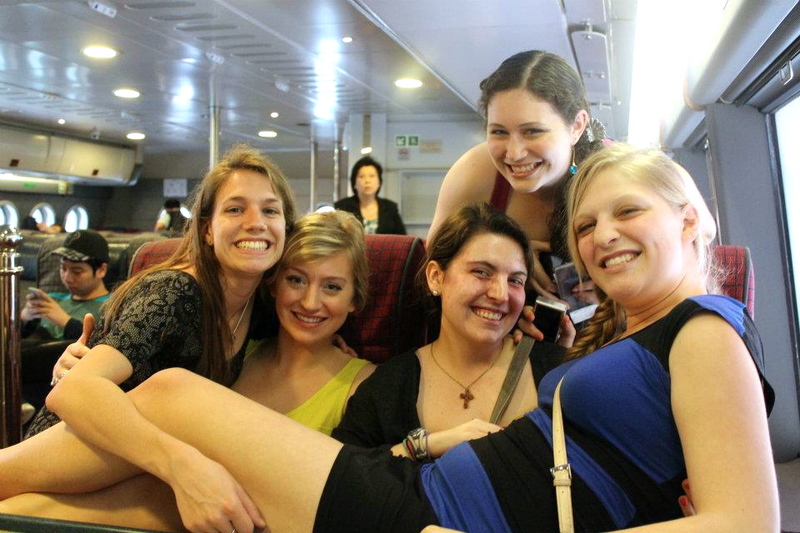 In the afternoon we got dressed up and took the high-speed ferry to Macau! Macau, a former Portuguese colony, is also another autonomous island in China. We made our way to the ferry, purchased our tickets, ate some McDonald’s standing up because there was nowhere to sit.. and basically killed time for an hour or so before it was time to leave. When we boarded the ferry, we were pleased to learn that we had been upgraded to super class! Fancy!! We made our way up the stairs and enjoyed the ride in relative luxury (the bathrooms were golden!). As we arrived, we peered through the foggy windows and saw bright lights and casinos! It was very interesting to see that the water around Macau was a foggy brown, rather than a crystal blue like Hong Kong; but the water wasn’t the only thing that was different: visiting Macau was like entering a Chinese Europe. Imagine if Portugal, China, Thailand and Las Vegas had a baby: welcome to Macau. We first took a cab into the Portuguese city center, admiring Catholic churches, tile mosaic public squares and colonial-style buildings. Interspersed with the Portuguese architecture were very modern high rises and dilapidated apartment buildings covered in artistic graffiti, and in the distance you could see sparking casinos. We spent the evening wandering around Macau, admiring parks, popping in casinos and taking funny pictures with vacationers. 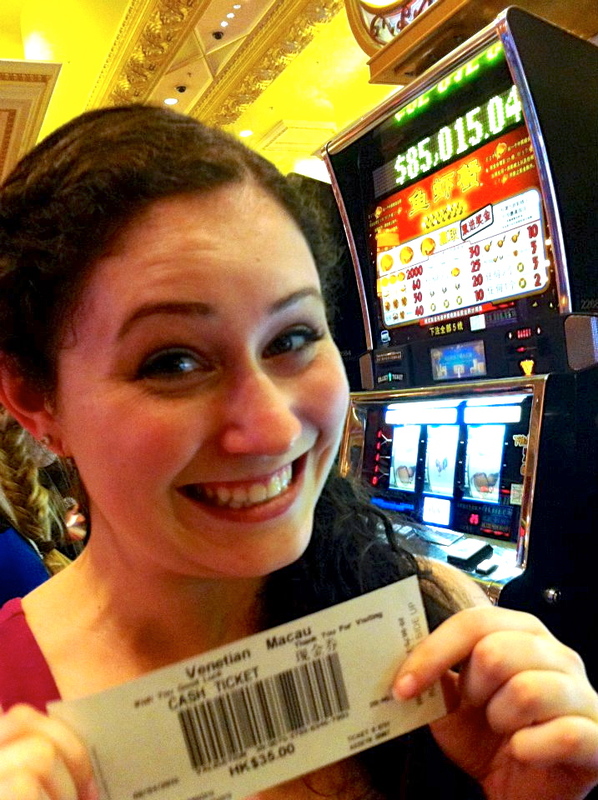 Finally, we decided it was time to check out the biggest casino in the world: the Venetian! I couldn’t believe my eyes when we pulled up in the cab; I had never been anywhere this fancy in my life. We wandered around the canals, spotted a ballroom showcase (I was SUPER excited) and even tried our hand at gambling!! I was too scared to try any of the table games, but I ended up winning $15 HKD in slots!!! Which is almost nothing in American dollars…. The interesting thing about Macau is that Macau has its own currency (of course), but all the casinos only take Hong Kong dollars. Not knowing this, we all exchanged way too many of our HKD for Macanese pataca (yes, that’s its name). Nate actually won a lot of money playing Blackjack.. and then proceeded to lose half of it at a different table. Quit while you’re ahead! That’s how I won my 15 HKD. Macau is the only place in China where gambling is legal, so naturally, mainlanders flock to Macau the way we flock to Vegas. But while many people compare Macau to Las Vegas there is a very large difference: Macau has a distinct lack of fun, carefree, party attitude that is present in Vegas. The Venetian had one bar that was almost impossible to find, had an extremely expensive cover charge and was almost empty. The people gambling were serious, as if it was their duty to win back as much money as possible for their families. Casinos in China are a way to make money, not a fun activity. This trip to Macau was enough to confirm that I am really not a gambling person. Eventually, it was time to head home. We boarded the crowded ferry and, unfortunately, were not upgraded to super class. It was freezing, and most of the girls were in dresses and without jackets. We all tried to doze off on the two-hour ride, but it was way too cold and extremely bright under the harsh fluorescent lights. The next day the girls all wanted to go to Hong Kong Disneyland, but Nate and I weren’t quite convinced it was worth $100. We wanted to see a little more of Hong Kong on our last day, so the two groups (gasp) split up! We had no way to contact one another, but we picked an arbitrary time and hoped everything would work out. So the girls went off to Hong Kong Disney, and Nate and I set off to explore Kowloon, another island in the Hong Kong sphere of influence. Sometimes I wonder how people survived without cell phones. We took the ridiculously expensive subway under the water to Kowloon in hopes of wandering around the Ladies Market. When we arrived, the vendors were just beginning to set up, so we grabbed some stuffed breads at a bakery and wandered for two hours. At one point we were entering a mall when a teenage boy bumped into Nate. “Excuse me, sorry!” he said to Nate in English. Where were we???! Eventually it was time to wander the Ladies Market. Why they call it the “Ladies Market”, I have no idea. The market sells everything from Obama Mao shirts to beautiful paintings, little girl dresses and elephant banana hammocks. Nate picked up a pack of Mao playing cards, while I got a “silver and jade” bracelet. 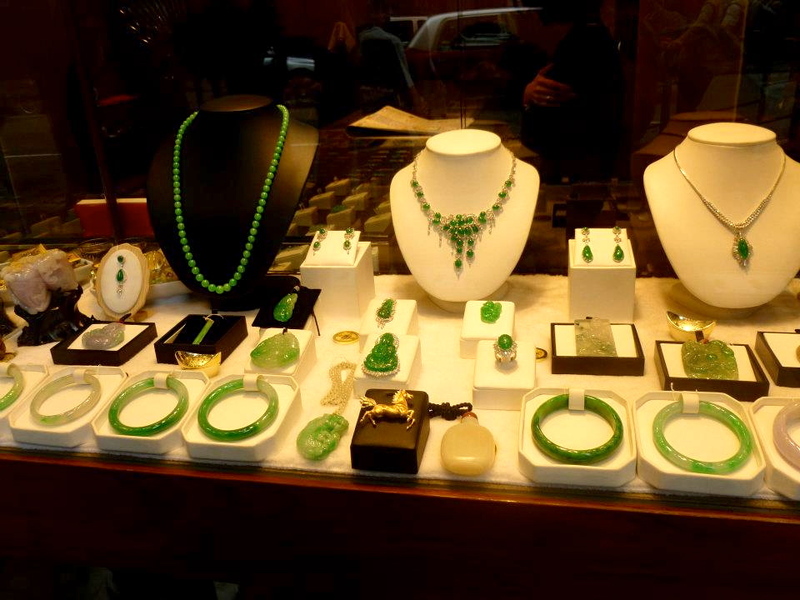 The stones could be jade, but the “silver” definitely turned my wrist green. After the Ladies Market, Nate and I set off to find the Jade Market. We ended up becoming hopelessly lost, and couldn’t find anyone that would admit to speaking English OR Mandarin! I felt completely helpless. I was so used to at least being able to struggle by with Mandarin, I forgot what it was like to not speak the local language and I didn’t like it. 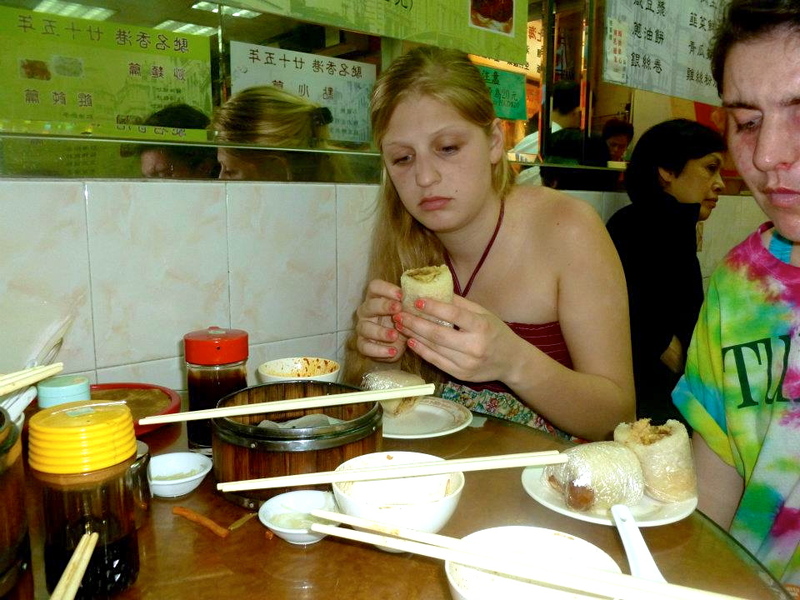 After living in China, I can’t imagine traveling somewhere else and not being able to speak the language without feeling ignorant. Anyway, after struggling for a good 45 minutes, we eventually found a white woman with a backpack on her front. 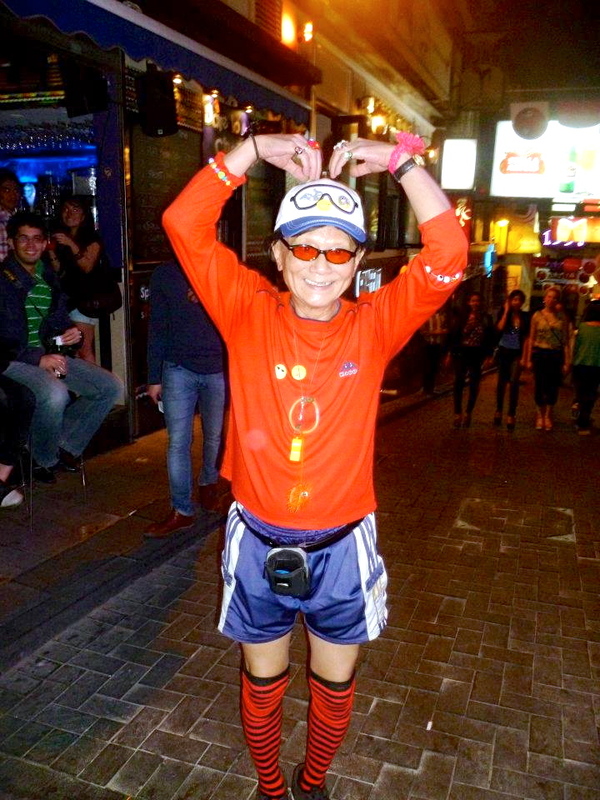 She looked like an expat so we tracked her down. She gave us very specific directions and we were finally able to make our way there. When we arrived we were somewhat disappointed. The jade market is merely a street full of extremely expensive jade shops.. but we did wander through a pretty cool local food market on the way! Our last stop of the Kowloon tour was to a local temple. Nate and I had a great time posing with our zodiac animal (the sheep), admiring koi fish and relaxing in the shade. 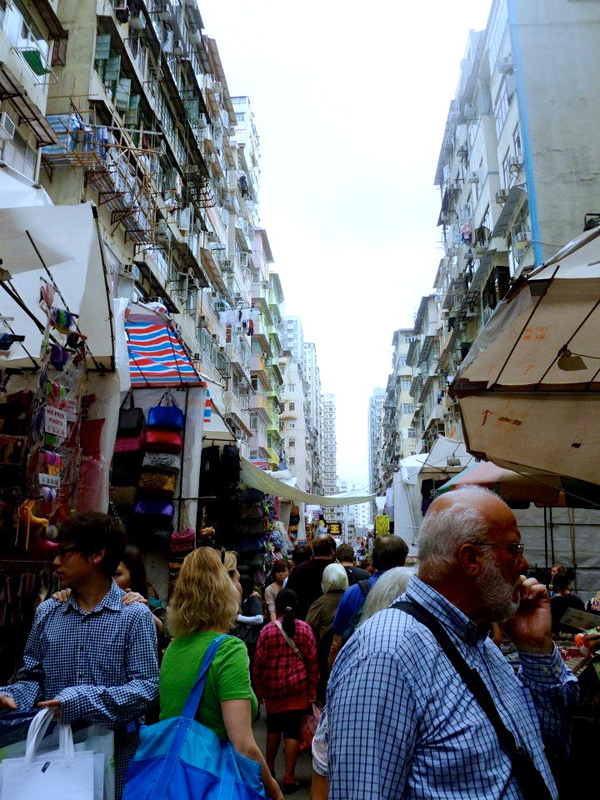 Eventually we decided to head back and wander around a clothing market in Hong Kong for a good hour and a half before the Disney girls returned. We grabbed some mango juice and waited in the room- thank god we had the key! Eventually, we headed up towards the peak, the best view of Hong Kong! We took a cable car that chugged up the mountain at an angle that was almost vertical! Hannah, who is afraid of heights, was freaking out, and started crying. But we made it to the top in on piece, and wandered to enjoy the view. We eventually ran into the Alliance International Business students who were there for their field study trip. Apparently there were two GW guys on the program but I didn’t know or meet either of them. Fun fact: I have Business Chinese with one of them now, and hung out with the other one at an Alliance event I planned two weeks ago. Small world. After climbing way too many stairs to count, we finally made it to the top, and watched the light show from above. Every night in Hong Kong, the city shines multicolored lights on the high-rise buildings in swirling patterns and colors. If you don’t know what I’m talking about, go watch Skyfall. 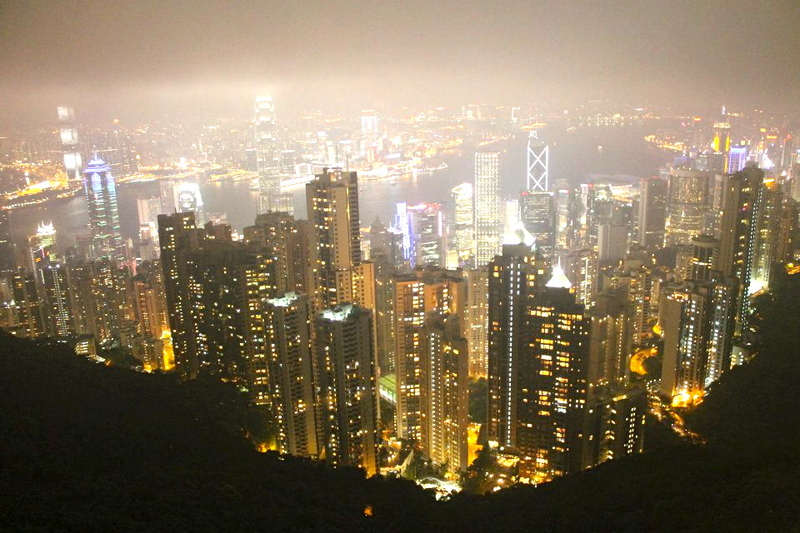 (Half of Skyfall is set in Hong Kong and Macau). We would have loved to stay at the peak longer, but it was so windy. The wind almost blew me over a few times, and Windsor was having major problems with her skirt. It was also a bit chilly at that altitude with no coat. Finally, we decided to head back and get a good night’s sleep before our flight to Hainan the next morning. We ended the night playing “Up and Down the River” (our signature card game) with Nate’s Mao playing cards. Visiting Hong Kong and Macau was an amazing experience, and I would love to go back someday… albeit with more time and a little more money. He’s not even wearing the watch! « The One Child Policy: Friend or Foe?